Find the right Goodyear high performance tyres for your car with rezulteo! 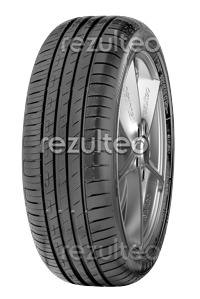 Find your Goodyear high performance car tyres with rezulteo. Our site lists 50 tyre models, equivalent to 1682 unique tyres. Typical high performance tyre sizes are 205/55 R16 91V, 205/55 R16 91H, 195/65 R15 91H. Summer tyre for medium sized and high performance cars. Improved wet and dry braking.